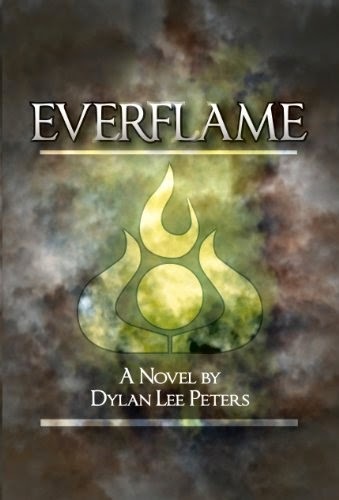 Today we are interviewing Dylan Lee Peters, author of the Fantasy Adventure novel Everflame. Describe the plot of Everflame in a few sentences. Long ago, when the earth was young, four ancient beings created man to be the bastion of the earth and its creatures, but when the Great Tyrant came and chased the Ancients away, the world was transformed into a place of fear and isolation. Over time, humans lost their connection with a world they had been created to protect, they forgot the ways of their ancient creators, and accepted the Tyrant’s lies as truths from the mouth of a god. Now, deep in the forests that surround Gray Mountain, two bears find a small child that is abandoned and left for dead. The bears name him Evercloud, raise him as a member of their kingdom, and teach the boy of the Ancients, all underneath the light of the Everflame, the flame that burns atop Gray Mountain as a monument to the integrity and spirit of the bears. As Evercloud grows, rumors reach the bear kingdom of the Ancients’ return, and now the young man must leave his home to find them, and help save the world he holds dear. Will Evercloud lose himself in the darkness of the Great Tyrant’s lies, or will he have the courage to judge his own heart, the strength to master the darkness, and the faith to follow his purpose until it burns within his heart like the Everflame? Who do you think would most appreciate Everflame? Everflame is a series full of action and adventure that is geared toward anyone with an imagination, from teens to seniors. What inspired you to write a fantasy-adventure novel? Fantasy adventure has always been a favorite of mine. As a child, I loved watching Jim Henson's Labyrinth and Dark Crystal. As I got older, reading Tolkien, Rowling, Paolini, and others, became a my pastime. However, the inspiration to become a storyteller came from authors like Orwell, Bradbury, and Ayn Rand. I loved the idea of trying to say something meaningful about the world we lived in through the vehicle of an alternate reality. You’ve stated that you have added undertones of your personal philosophies into the novel. Can you elaborate more on this? I think I need to answer this question in relation to the entire series. Densa, was by far my favorite character to write. He is in each book of the series, but it is not revealed who he is until the end of the second book. It's difficult to relate why he was my favorite, without giving away spoilers, but I can say this: Densa is personal to me. His development through the Everflame series is a metaphor for my development through life. Many of the lessons he learns are lessons I once learned, and through writing the character of Densa, I learned truths about myself. I think the world of ebooks is wonderful. From an author's perspective, I now have a voice in a world where, previously, only large publishing houses controlled what was available to readers. This does increase the likelihood for a reader to come across material that is not up to industry standards, but this can be viewed negatively and positively. Wouldn't someone like to see a young Michael Jordan develop his basketball skills? Wouldn't someone be interesting in watching a young John Lennon learn to play guitar? The reader now has a view into a world that was never open to them before, and they also have a greater power to affect change in the life of a new author. I choose to see that as a great thing. My goal is just to be able to continue writing for an audience of readers, however large or small it may be. I feel I have a lot of stories to tell, and I know I'm lucky to have readers that enjoy them. I’ve found that many other writers feel this way, and I can’t argue. Writing a synopsis of your novel is, by far, the most tedious, difficult, and frustrating aspect of writing. One would think that writing an 80,000 word novel would be the most difficult aspect, but really, taking 80,000 words and trying to shrink it into three paragraphs is daunting and maddening. You spend a lot of time adding texture, nuance and emotion to your writing. When you have to strip all that away, yet still try to make your book sound interesting… I’m definitely not a fan of writing a synopsis. I’ve been lucky, in that I don’t suffer writer’s block very often. Usually my issue is not having enough time to do all the writing I want to do. However, on those occasions when I am stuck, I change location. It usually works for me. In my opinion, the best way to fix writers block is to create change, do something different, see something different, hear something different. Writer’s block comes from focusing on the wrong thing – so force yourself to unfocus. I write on a laptop, and I’m not really sure it’s a preference, as much as it’s simple laziness. I don’t want to have to write something out, just to have to type it all over again. Dan Delacor was a normal citizen of Yellow City. He put on his yellow shoes, and yellow tie, and took the Tunnel Runner from the suburbs into downtown, every day. He had a job, lived with his loving, yellow-haired girlfriend, and never wondered what waited beyond the great glass wall that surrounded Yellow City. Sure, he wondered why people at his work annoyed him so much, he wondered why everything in Yellow City had to be yellow, he wondered why he suffered constant anxiety attacks, and he wondered why he couldn’t help himself from strolling through dangerous neighborhoods, or running wildly through the wheat fields that separated downtown from the suburbs. Mostly though, Dan Delacor wondered how he had lost most of his right arm, and he wondered why he couldn’t remember anything before five years ago. So, when Dan’s mysterious yellow world is interrupted with the seemingly impossible presence of a little, red dog, the man can’t help but wonder why. Unfortunately for Dan, what he finds leaves him running for his life, doubting everything he knows, and wondering what side of the glass wall he is really on. The entire Everflame Series is available in print and ebook. Four books compete the series. Check out www.dylanleepeters.com to find out about each book. “Then we shall begin,” said Whiteclaw. “Once, there was nothing. Or at least that is the word that we use to describe what there was. You see, Evercloud, at one time, our world was made up of things that we have no words for and no images for, things our minds cannot conceive of. So we say that once, long ago, there was nothing, and we imagine it as infinite blackness. “All we have as a clue to our origin are the teachings of the elder bears. Though even they do not know of true origins. The first things they have told us of were the Ancients. The Ancients were strange creatures. Not at all like the creatures of today’s world, but at the same time, very much like many of the creatures we know. There were four of them and they controlled the elements of our world. “There was the mermaid, Chera, who controlled the water. There was Bahknar the dragon, who controlled the element of fire. Tenturo the griffin, who had the head and wings of an eagle, but the body of a lion. He controlled the air. Finally, there was Densa. Densa was a gigantic beast, who most closely resembled a gorilla, and he controlled the element of earth. “Each of these Ancients created many creatures to populate the earth. It is believed that it was Densa who created the Kingdom of Bears. Man, however, was another story. The Ancients wished to create a creature that embodied a bit of them all. So they gathered together and drew upon all of their strength. Densa created the form and Chera added to it water. Bahknar used fire to give it warmth and then Tenturo breathed into it air. This was the way in which they created man. Man was to be the connection between all creatures. Man was to be the balance. The Ancients also gave unto man some of the powers of the elements. They gave man slight control of wind, water, earth and fire, so that man could help the world flourish. The Ancients had created a utopia and man was their bastion of peace. The earth saw ages of prosperity for itself and all creatures. “But then the Great Tyrant came and destroyed the utopia of the Ancients. It is said that the Great Tyrant possessed a power that the Ancients did not. It is said that he could summon the lightning from the sky. The Ancients were powerless against him. The Great Tyrant hunted the Ancients, hell-bent on destroying them. Given little choice, the Ancients fled from the earth, never to return. “The Great Tyrant took control of the creatures of the earth, driving them apart. Mankind became his slave and he forbade them from controlling the elements, under the penalty of death. The Great Tyrant had cast an ominous cloud over the earth and ruled it for many ages. After a time, mankind forgot its powers. It was not long before the entire world had forgotten what it once was. It was now a world afraid, amid the storm of the Great Tyrant."